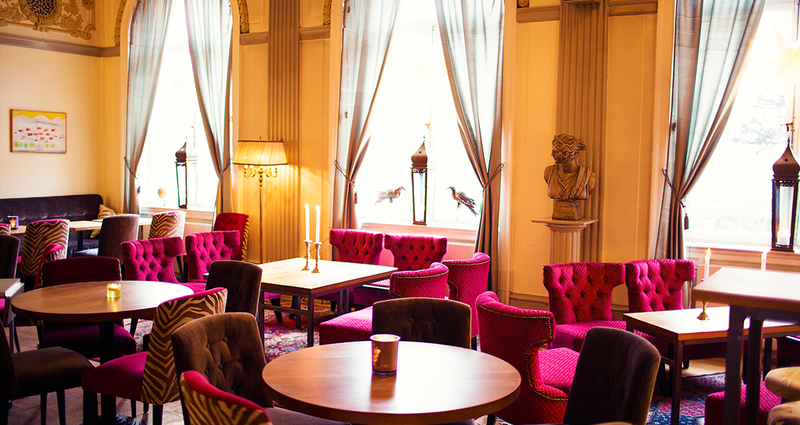 The hotel’s charming lobby bar is open to both hotel guests and the general public. The staff serve a wide variety of drinks in a wonderful turn-of-the-century hotel ambience. We also serve a simple bar menu, including delicious prawn sandwiches – which have become remarkably popular – cheese and trimmings, as well as a combination platter featuring a variety of snacks and treats. There is a free WiFi connection in the bar for all guests, and this is the perfect place to sit down with your laptop and enjoy afternoon coffee with us, far from the hustle and bustle of the office. Later in the afternoon, the bar welcomes the after-work patrons and groups of friends, who raise the atmosphere to a livelier notch, and Saturday afternoons are usually time for the function parties who gather here before heading off to events all over the city. The bar is a place for delightful meetings between a variety of people.